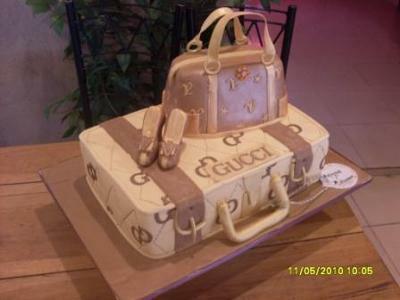 To make this Gucci suitcase and Louis Vuitton handbag cake, I made an 18 by 12 inches rectangular cake to be used as the suitcase. I baked a medium size boat shaped cake for the handbag. I covered all with fondant and painted the necessary places with gold edible dust. I came across essay mania service the following to start with and also My partner and i are obligated to repay that in your websites. I might have got picked a bad copy writers and also misplaced my own funds when that are not for your assistance I obtained around the website. Thank you a whole lot! I wish assignment help alleviate. I receive previously started my essay however I am holding a bugbear among piecing composed info in a road that resolution usher to a termination. Would you receive some instruction about this or could you immediate me away? This is brilliant and the finish is immaculate . Congratulations on creating a masterpiece ! I love it!!!!!! Tons of work but it sure paid off!